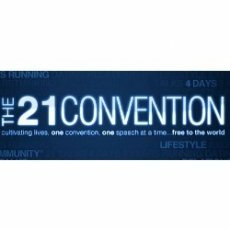 The 21 Convention offers dating advice and learning success with women. This event features speakers who have been seen in such media as CNN, The Tyra Banks Show,Young Hollywood, Fox News, BBC, CTV, Men's Health, ABC News, NBC News, 104.1 Real Radio Orlando, and more. The 21 Convention (2009) USA live event runs for 4 days total, 9:30 am to 8pm daily.